The La Ronge Ice Wolves suffered their seventh straight setback Thursday at home when they dropped a 4-1 decision to the Notre Dame Hounds. It was a rough start for the Ice Wolves on Thursday. Notre Dame’s Jarrett Penner opened the scoring just 24 seconds into the game when he beat Jordan Frey, who ended the game with 43 saves in a losing cause. The Hounds took a 2-0 lead 18:25 into the first when Charles Martin blasted a shot from the point that beat Frey on the power play. The Ice Wolves cut the lead to one 14:22 into the second on the man advantage when Antonio Di Paolo flew into the Notre Dame zone and banked the puck past Matt Lukacs, who ended his night with 29 saves for the victory. Di Paolo’s 11th of the season was all the offence the Ice Wolves would get Thursday. Marshall Wilton and Jarrett Penner would both tally in the third, as the Hounds snapped a two-game losing streak. With the loss, the Ice Wolves slipped to 10-35-1-1 on the season, which has them in last in the overall standings and 14 points back of Melville for the final playoff spot with only 11 games remaining on the regular season schedule. 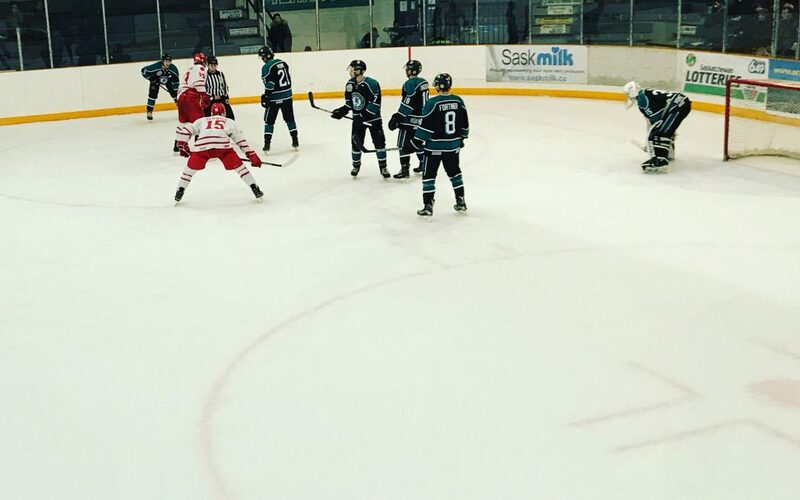 The Ice Wolves will look to rebound Friday night in Melfort when they play their last game of the week versus the Mustangs. You can catch Friday’s game on MBC Network Radio with Braden Malsbury. The pre-game show will begin at 7:15 p.m.